Legal 3 family with great income, or wonderful 2-level owner unit, offering excellent space and location - this home is a tremendous value! 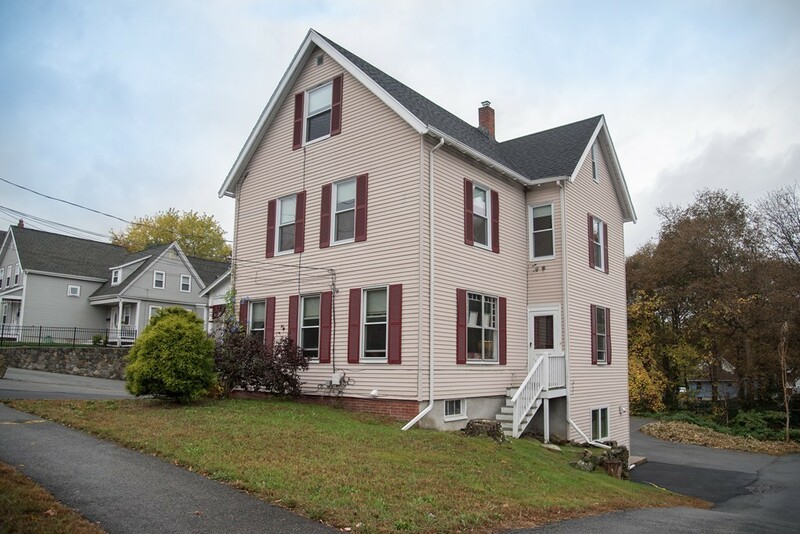 Conveniently located south of downtown Stoneham, this home offers fabulous commutability with easy access to 93 and bus to Oak Grove, with ample space throughout, 8+ car parking, all on a sizable lot. Unit 1 features an entry hall, living room, eat-in kitchen with granite, office, 2 bedrooms and bathroom. Unit 2 is two levels with 7 rooms, 5 bedrooms and two baths: the first level currently hosting a large living room/dining room, adjoining kitchen with updated appliances, 3 bedrooms and renovated full bath, and the second level hosting two rooms and bathroom. The lower level unit has been renovated and holds a large eat-in kitchen, full bath, living room and bedroom. Nearby Middlesex Fells trails and Spot Pond, plus an easy walk to local restaurants! Updated systems: 4 FHW/gas, 4 gas HW tanks, separate electric, newer roof. This is a smart buy!